And even the U.S. Forest Service data showing that the percent of tree cover in urban and community areas remains steady in that state is not statistically significant, said Brian Schwingle, a forest health specialist at the Minnesota Department of Natural Resources. “It’s odd that Minnesota did gain impervious ground cover (which water can’t permeate or soak through) but we didn’t lose forest,” said Schwingle, who wasn’t involved in the federal study. Among the other Great Lakes states, Illinois, New York and Ohio registered the largest percentage loss and Wisconsin the smallest. During the five-year study, urbanization and suburbanization nationwide added about 167,000 acres annually of pavement and other impervious cover, such as roads and buildings. Impervious cover can increase air temperatures, harm water quality and stream flow, increase building energy use and emit more pollution. Ohio was among the five states with the greatest percentage increase in impervious cover during the study period. And they charged the people a dollar and a half to see them. 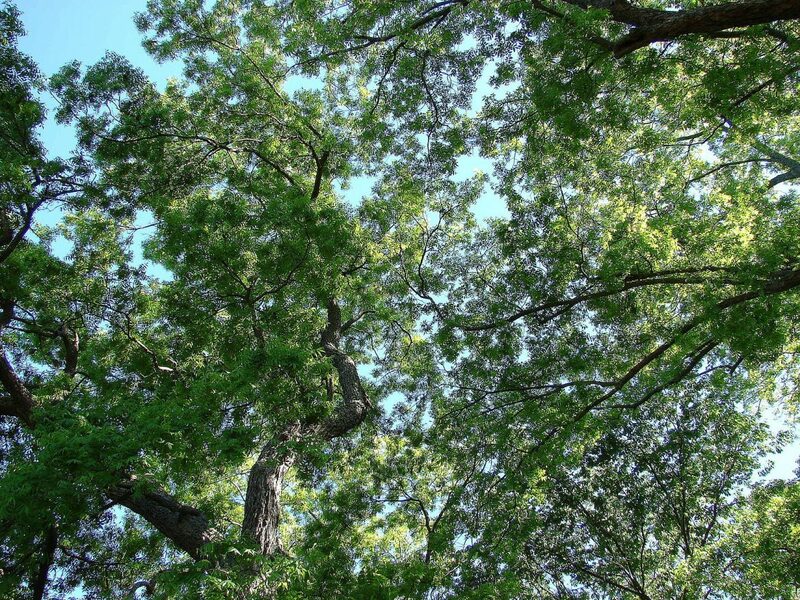 In total, 45 states showed a net decline in urban tree cover, according to the study. Forest Service scientists David Nowak and Eric Greenfield used aerial photographs to reach their conclusions, which appeared in the journal “Urban Forestry & Urban Greening.” They’re based at the State University of New York College of Environmental Science and Forestry in Syracuse. Reasons for the changes include development, storms, disease, fire, pests and property owner choices on what to do with their land. On the plus side of the equation are planting efforts, tree growth and natural regeneration, the study said. “This trend will likely continue into the future unless forest management and/or urban development policies are altered, particularly given the threats to urban trees associated with development, climate change, insects and diseases, and fire,” the study reported. For example, the invasive emerald ash borer has devastated tens of millions of ash in Michigan, many of them street trees that had been planted – ironically – to replace elms previously killed by Dutch elm disease, said Kevin Sayers, the state urban forestry coordinator at the Michigan DNR. “It’s like a series of waves,” Sayers said, adding that the new worry is the Asian long-horned beetle. That wood-boring invader threatens maple, birch, elm, willow and other hardwood species, according to the National Invasive Species Information Center. Michigan was the first Great Lakes state to report the emerald ash borer in 2002. Minnesota was the last, in 2009. “At this point there could be significant canopy loss,” Teegarden said, noting that the DNR has no grants to help communities remove, treat or replant infested ash. Sayers, who wasn’t part of the study, said Michigan communities that participate in the Tree City USA program submit annual reports on how many trees they plant, remove and prune. The program recognizes local governments for excellence in urban forestry management. Michigan has 115 participating communities this year, Wisconsin is among the top five states and Ohio has more than 200 participants – the most in the country. But it’s more than a matter of mere numbers. The Forest Service’s Northern Research Station estimates the benefits from U.S. urban forests by removing air pollution, sequestering carbon, and reducing energy use and power plant emissions at $18.3 billion a year. The study didn’t put a dollar value on other benefits, such as reduced storm water runoff and “improved social well-being,” but lead author Nowak said, “We are working on reduced storm water runoff and air temperature effects, among others. Quality of life will be a tougher one to assess as it is vague, but many of these individual effects – for example, air temperatures– affect quality of life. Planting more deciduous trees is a prominent feature of good green infrastructure programs. Trees absorb rainwater and carbon dioxide while emitting oxygen and creating summer shade (which reduces air conditioning costs). For many years, Detroit’s target has been to plant 2000 to 3000 trees per year, less than the number lost through natural and other causes annually. It seems reasonable to me to expect the City of Detroit to plant 10,000 trees per year. More importantly, communities upstream in the Clinton, Rouge and Huron river watersheds would benefit from combining to plant a million trees near streams, ditches and storm sewers over the next 10 years. Also, planting groves for commercial purposes shouldn’t be overlooked. For perspective, note that if each of 100 communities planted 1000 trees per year, the goal would be met.